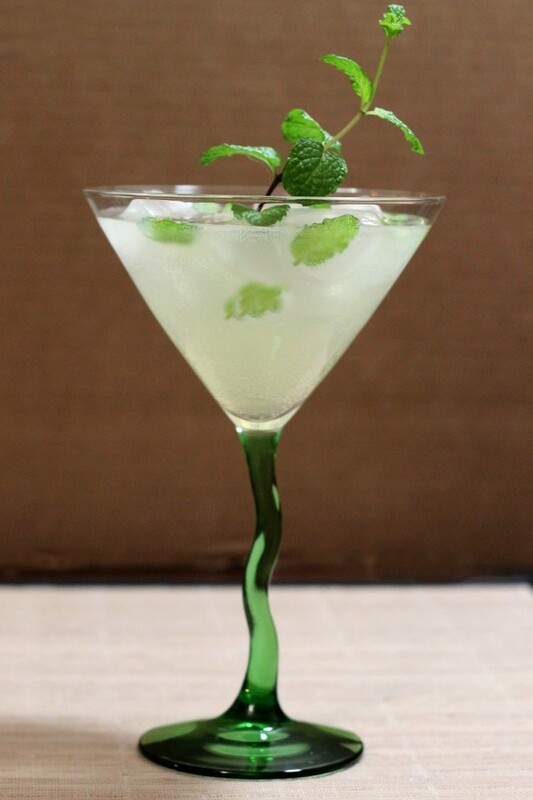 No one’s exactly sure where the Mojito came from – it may date all the way back to the 16th century. Whatever its origins, this traditional Cuban carbonated rum cocktail is a big hit today. 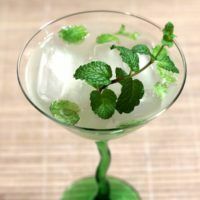 With a base of white rum and lime juice, it’s reminiscent of the Rum Swizzle and Daiquiri, but the mint adds a wonderful layer of refreshment. One of the steps in this recipe involves muddling the mint leaves. You put them down in the glass with sugar and lime juice, and then you crush them over and over with a muddler. The longer you spend muddling the mint, the stronger the flavor of it will be. Now, more is not necessarily better in this case because the flavor of mint can be overwhelming. You’ll figure out over time just how much mint flavor you like in your Mojitos. As you muddle, you’ll smell the mint and lime. When it gets to your preferred balance between these two strong flavors, stop muddling. Stir the sugar into the lime juice in a highball glass. Add the mint leaves into the glass and muddle. Then fill the glass with the carbonated water. 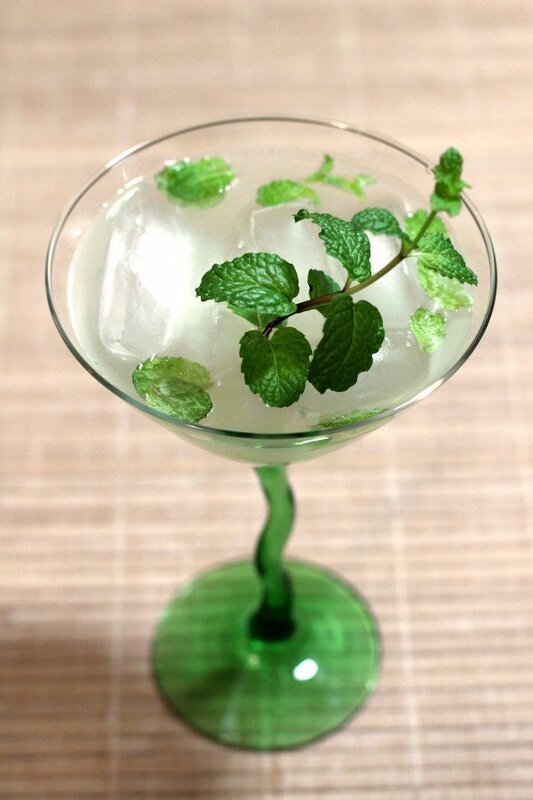 Garnish the glass with that last sprig of mint. This is my favorite summer drink. Love the mint lime combo!